This chapter starts with the latest trends in wireless network evolution and introduces different modeling and analysis techniques for network performance evaluation. The evolution of cellular networks is first presented. Then three unique characteristics of the latest cellular standard, i.e., the fifth generation (5G) network, are illustrated. 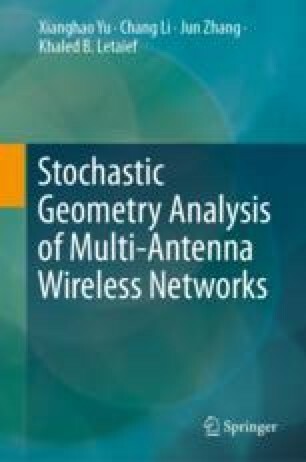 Through the discussion, it is revealed that network densification and multi-antenna transmissions are two main enabling techniques to achieve the targets of 5G, which motivates the main theme of this monograph, i.e., performance analysis of large-scale multi-antenna wireless networks. Next, an overview of network modeling and analysis is introduced, followed by the outline of the monograph.